description A half-length portrait of a grey-haired, elderly woman, seen in full face view with her head turned slightly to the left, wearing a sad expression. 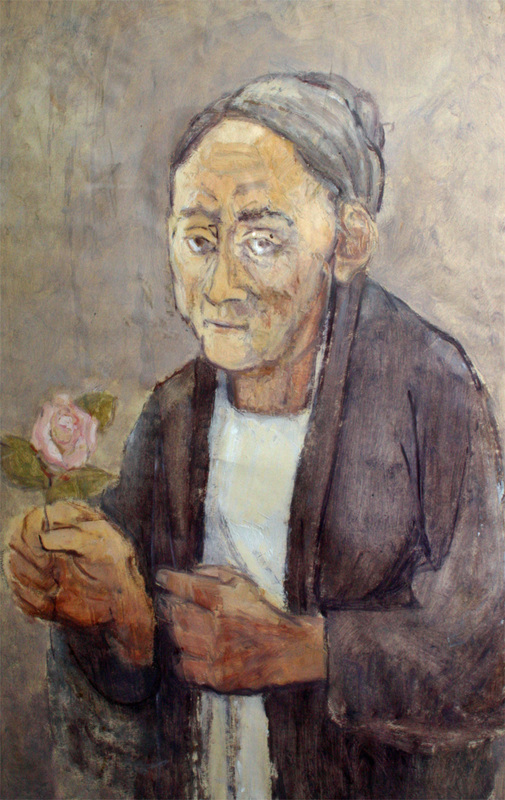 She holds a pink rose in her right hand, drawing attention to the fact that her hands have, unusually for Frankfurther, been painted with the same attention to detail as her face. The woman's outward gaze, engaging the viewer directly, is equally unusual. 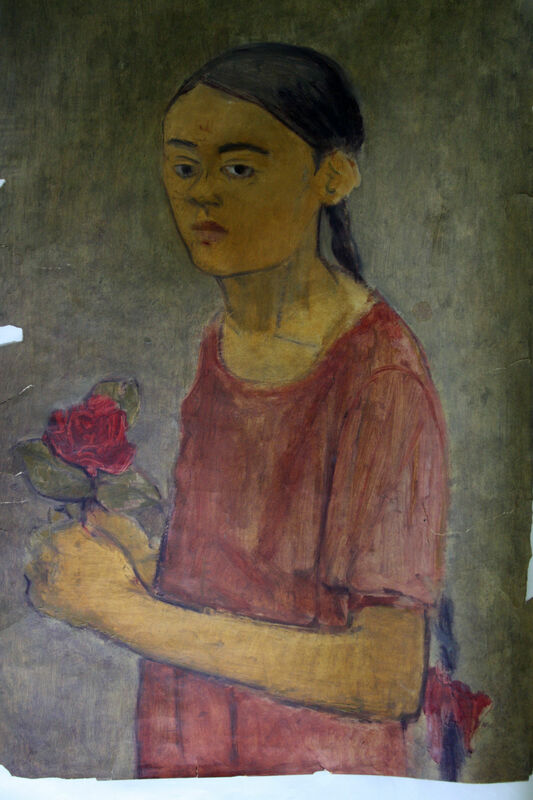 The painting may be compared to 'Girl with Rose' in the motif, the placing of the figure and the choice of flower, suggesting an allegory of youth and old age - although there is no evidence that the artist planned for the works to be exhibited together. exhibition history 'Eva Frankfurther 1930-1959: Retrospective Exhibition', Ben Uri Art Gallery, 14 Berners Street, London W1, 14 Feb-9 March 1962, (38); 'Eva Frankfurther 1930-1959: Exhibition', Margaret Fisher, 3 Lambolle Road, London, NW3, 15-31 Oct 1981, (24), £180.